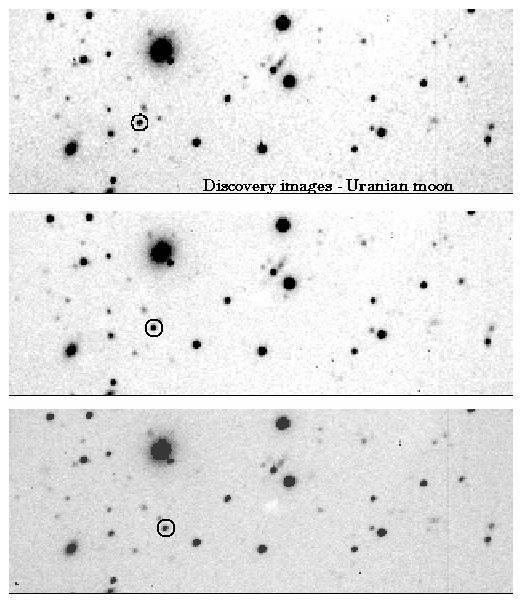 Several tiny moons have been discovered recently, most from ground based imagery! With these discoveries, Uranus joins the jovian planets in having a number of small moons in irregular orbits. 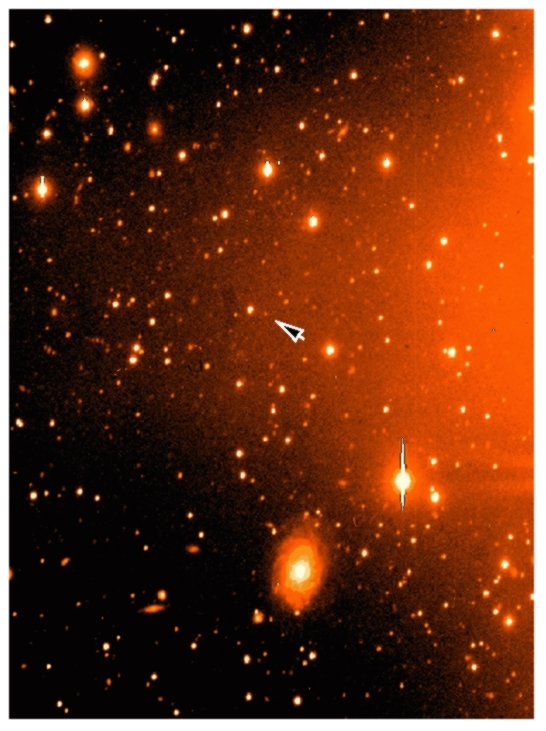 Two new moons of Uranus, provisionally known as Uranus XVI (S/1997 U 1) and Uranus XVII (S/1997 U 2), have been discovered. The names Caliban and Sycorax proposed by the discoverers have now been offically accepted by the IAU. Caliban (S/1997 U 1) orbits about 7.2 million km from Uranus and is about 80 km in diameter. 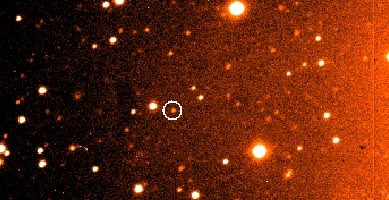 Sycorax (S/1997 U 2) orbits about 12.2 million km from Uranus and is about 160 km in diameter. These size estimates are based on their apparent brightness and assuming an albedo of about 7%. The orbits are retrograde and highly inclined. These are the dimmest moons ever to have been imaged with a ground-based telescope. This tiny moon is as yet unnamed. Imaged by Voyager 2 in 1986; discovered in 1999 by Erich Karkoschka of the Lunar and Planetary Lab of The University of Arizona in Tucson. It's orbit is nearly identical to that of Belinda, about 75,000 km from Uranus. It is about 40 km in diameter.